Looking for the perfect escape? 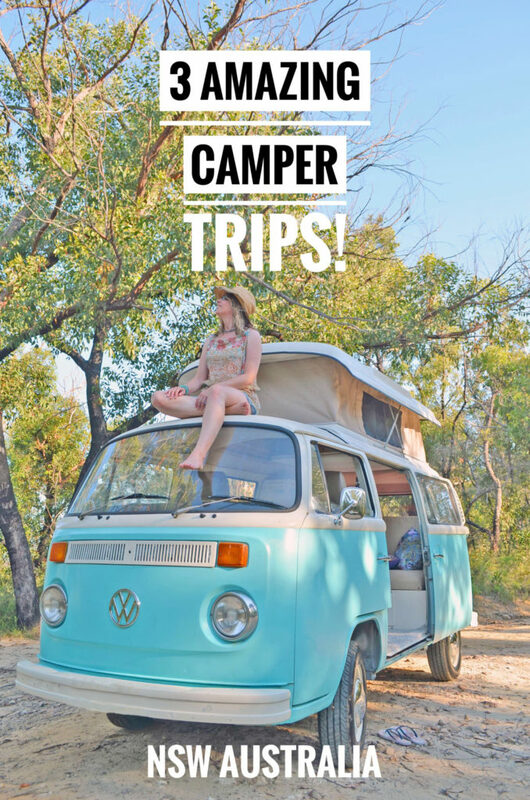 Kombi Lifestyle provides you with holiday guides, product reviews and information about the perfect destinations to visit – for those thinking of a fun road trip adventure or a peaceful getaway in a cruisy recreational vehicle, although the information we provide would suit most travellers (and are insider tips). 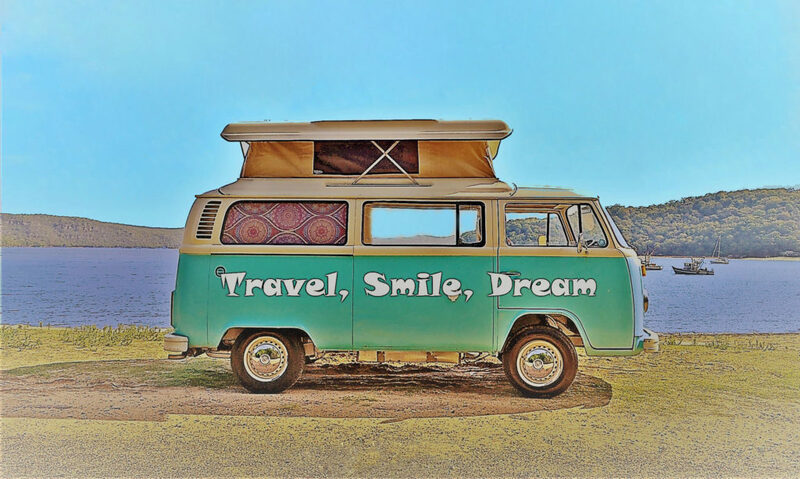 There are now more opportunities that allow you to easily hire a holiday vehicle for a weekend away or longer, however, there’s not enough information on where to go, and what to see including a town’s main attractions, nor a place where you can book and organise your holiday all in one spot. We have now not only included holiday guides and information, and places where you can book campsites (through the associated company links) – but you can also view the best campervan and book your favourite here too – scroll to the bottom of the page to get started! Our guide on Tourist Drive 33 is the perfect starting point, not to mention this drive traverses some of Australia’s most scenic country land, and at the end of this drive – if you venture on, this is a vast area to explore, during the summertime in the Hunter Valley you’ll see vibrant lush vineyards. If you’re travelling from overseas, what a great experience, especially when the hard work is already done for you. We’ve travelled this stunning countryside route a number of times in a variety of vehicles and we have listed and written about the most popular things to see and do, places to eat, even places where you can buy supplies. And one campsite on this route is free! While there are so many places to explore and discover – there’s never a shortage of things to write about, and within this exciting community of travellers and people’s experiences – we’d love to hear from you too! 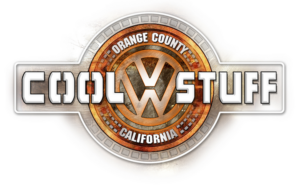 See our review on Cool VW Stuff t-shirt! There are multitude of VW gift products that can be purchased, click on the image to view the entire range! Finding the right clothes for travelling can be a little tricky, find the right t-shirt and everything else is easy. And if you find one that has a cool design; which includes a VW Kombi – like this one, and one that is 100% quality cotton, you’ll end up wearing it all time! Click on image link to see more details or buy now! Thongs are one of the most popular Australian summer shoes, they’re easy to wear, fun and look cool! And these ones in particular, are imprinted with a hip and trendy VW Kombi design! You can’t go wrong with a pair of thongs during the summertime! See our review on the Down Under Outdoors picnic blanket! When you’re travelling you need items that are easy to carry, versatile and suitable for all weather situations. Aptly named the ‘Down Under Outdoors’ picnic blanket ticks all the boxes! It’s perfect for not only picnics, and festival events, but should you be caught in unexpected rain – turn it over and you’ll be kept dry, and on the other side with its fleece lining you’ll stay nice and warm too! Sitting on this picnic blanket, sipping coffee outside of your camper you’ll feel really spoilt! See our review on the Matador Pocket Blanket! And when you don’t want to carry a picnic blanket at all – try the Matador! Whether it’s a picnic at a festival, an outdoor show, the beach, parks or bushland – the discerning traveller doesn’t need to worry about carrying extra weight in a bag or backpack anymore, not with the Matador Pocket Blanket – it fits into the palm of your hand or your pocket! Hi, I’m Shelley. Welcome to Kombi Lifestyle. I have written a variety of online publications, my Master’s Degree in Special Education has allowed me to write and publish articles in the area of Education, through platforms such as the Huffington Post. And today, being an outdoor enthusiast, this has led me to write for The Weekender Travel. 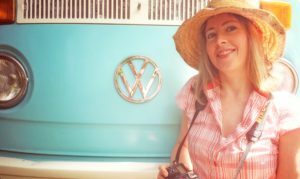 After the purchase of our VW Kombi, I am now the founder of Kombi Lifestyle, where my husband and I continue to explore events and destinations providing informative articles for the discerning traveller! We look forward to many more adventures and hearing from you during our travels!